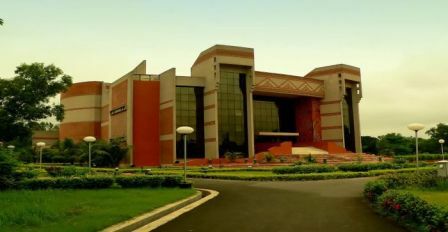 Indian Institute of Management, Calcutta (IIMC) proposes to rename its one-year full-time Post-Graduate Program for Executives (PGPEX) as Master of Business Administration for Executives Program (MBA-EP) following the decision of the Board of Governors to start awarding the MBA degree instead of the diploma. IIMC is following the footsteps of IIM Ahmedabad, IIM Bangalore and IIM Indore which had distributed MBA degrees to the graduates of both the one-year programs meant for professionals with work experience as well as the 2-year Post Graduate Program (PGP) that mostly took in fresh graduates who did not have work experience. IIMC sources said the changes are in line with the Indian Institutes of Management Act, 2017 that came into force on January 31, 2018, granting a huge amount of autonomy to the IIMs, including the freedom to grant MBA degrees. However, in the case of one-year programs, the criteria specified under the University Grants Commission (UGC) Act stood in the way. UGC rules specified that a Master’s degree in management has to be of a minimum two years duration. it is to be noted that OneYearMBA.co.in has been at the forefront of the struggle to ensure that the One-Year full-time post-graduate management course got its rightful recognition as an MBA program. This was the explanation the IIM Directors received from Union Human Resources Development (HRD) Minister Prakash Javadekar in December 2018. After the IIMs approached the Ministry, it is understood to have softened its stand allowing the BoG to take a decision on granting MBA degree to graduates of one-year programs also. At least three of the 20 IIMs, namely, IIM Bangalore, IIM Calcutta and IIM Ahmedabad had changed over to giving degree certificates to the graduates, starting with the 2-year Post-Graduate Program (PGP). This year, IIM Ahmedabad and IIM Bangalore at the annual Convocation on March 16 and March 22 had given MBA degree certificates to graduates of their one-year management programs. Meanwhile, it is to be noted that OneYearMBA.co.in has been at the forefront of the struggle to ensure that the One-Year full-time post-graduate management course got its rightful recognition as an MBA program. 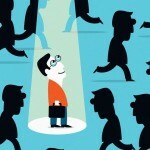 The one-year programs admit only professionals with work experience in tune with the international norms. 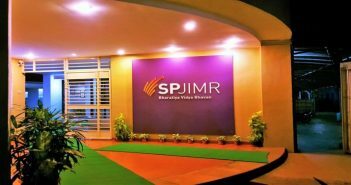 The 2-year post-graduate programs targeting fresh graduates are usually in the Masters in Management (MBM/MiM) category. 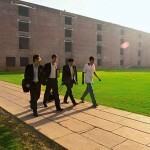 In 2015, Students from IIM Ahmedabad, IIM Bangalore, IIM Calcutta, IIM Indore and IIM Lucknow, had signed OneYearMBA.co.in’s petition to Prime Minister Narendra Modi and then Minister for Human Resource Development Smriti Irani seeking to ensure that MBA degree at IIMs is awarded to One Year MBA courses in sync with the global accreditation awarded to these courses by Association of MBAs (AMBA). Battle is half won till recruiters rate 1 year MBA graduates at par or may be higher than 2 year MBA graduates, A special awareness campaign should be launched for recruiters in this regard. Business schools, candidates, media and corporates should participate in that.